The Build Out: Phase Two at Michael Mina's RN74, Cont. 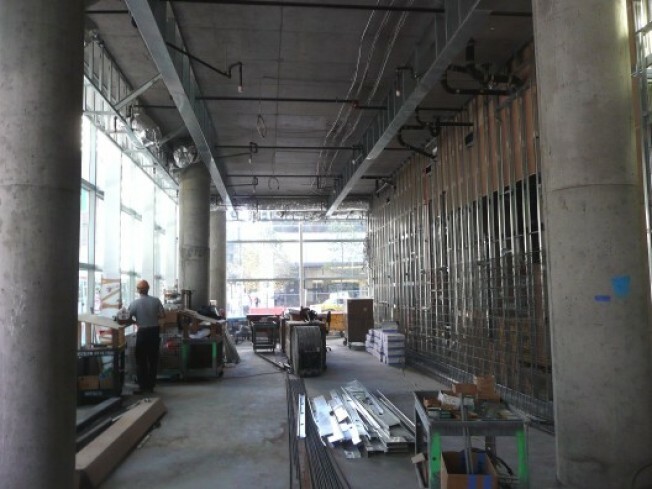 Millennium Tower: Yesterday we took a look at the bar and atrium areas of Michael Mina's RN74, and as promised, today we venture deeper into The Build Out to explore the dining room and back of house. The AvroKO design will center around the general theme of a train station, including a schedule-like board that flips around whenever a bottle of wine has run out. Banquettes will line the walls of the 110-seat dining room, and the wine list, which will be Burgundy-centric (RN74 is the highway that runs through the region, you know), is expected to be one of the most expansive in the city, if not the state. So much more from RN74 in the photo tour above.